Babble puts customers in control of build-your-own bubble tea and much more. Husband and wife Tuan and Lisa Le are trying to do more than redefine the word Babble with their business; they’re also trying to change the concept of a neighborhood cafe by combining coffee and bubble tea. The definition inside the 6909 W. Hefner Road, Suite B12 location presents Babble as a verb: when you gather with your friends at your neighborhood cafe and can’t stop talking excitedly. The family-owned business is focused on providing good customer service while introducing a build-your-own-boba concept to an area of the city that doesn’t have as much exposure to the Asian-style drink. 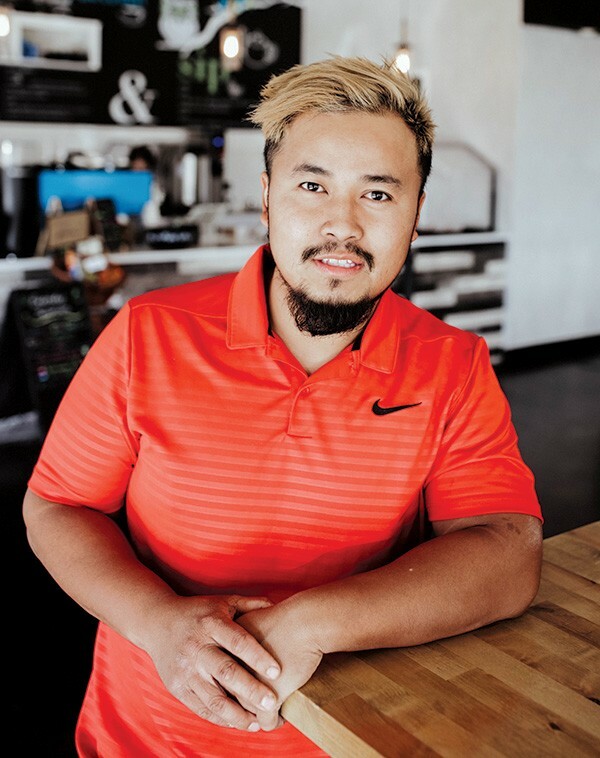 Tuan Le grew up in northwest Oklahoma City and attended Piedmont High School. Some of his fondest memories were running up and down the sidewalks of the shopping center where his parents own and still operate Speedy Wok, 11122 N. Rockwell Ave.
Boba — or bubble tea as it is often referred to in the U.S. — was invented in Taiwan in the 1980s by combining sweet tapioca balls (boba) with blended teas. 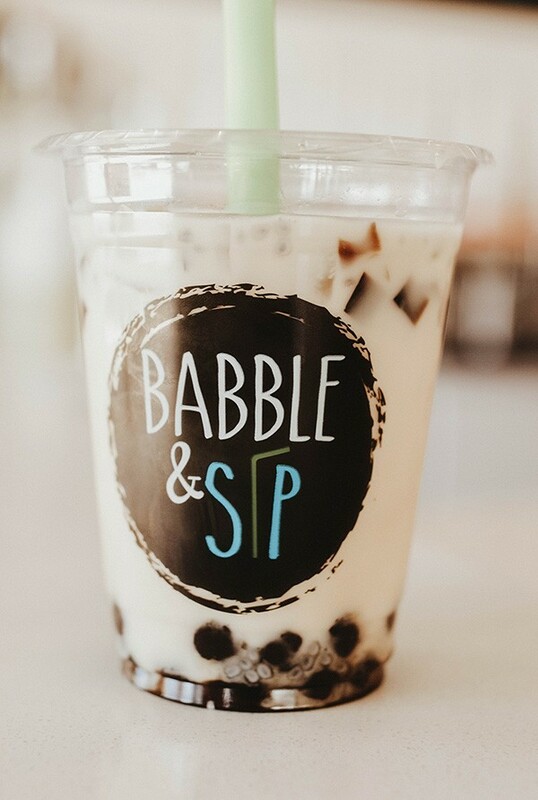 Babble offers in-house flavored boba in addition to a variety of jellies that can be added to four varieties of flavored milk teas, coffee and sweet caffeine-free fruit drinks called refreshers. Teas are brewed in-house and infused with a non-dairy creamer. Customers choose their size of cup and head over the BYOB (build-your-own-boba) station to add boba pearls, jellies and other ingredients before adding ice and their choice of milk tea that includes flavors like wintermelon and specials like hazelnut in addition to the house-blend milk tea. Babble offers sample cups so customers can try each flavor of tea and refresher. 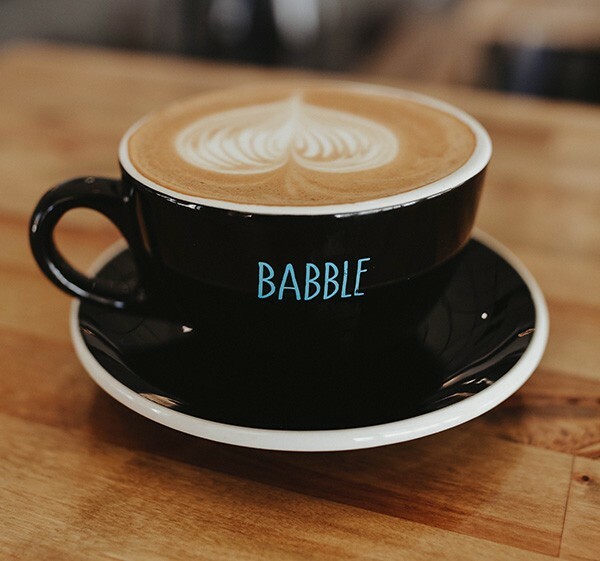 Babble also offers a wide range of coffee drinks made with Tulsa-based Topeca Coffee Roasters and hot tea drinks like London Smog, which takes the traditional London Fog blend of steamed Earl Grey with milk and adds a shot of espresso. Blended smoothies and slushies are also available and are flavored with more than 15 options including fruit like mango and strawberry but also sea salt caramel, taro (purple sweet potato) and red bean. 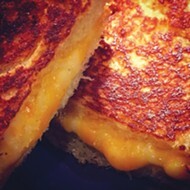 To complete its cafe ambiance, Babble offers sweet and savory food options. Customers can snack on three kinds of popcorn chicken served with a sweet soy glaze or steamed or pan-fried dumplings. 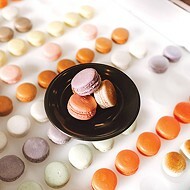 For sweet options, Babble sells macarons from Belle Kitchen and a few other outsourced bakery options. It also sells Braum’s ice cream that can fill a sweet waffle that tastes like a fortune cookie and has a honeycomb pattern. It also has mini Babble Boxes, which are a smaller version of Japanese toast boxes. Sweet Hawaiian rolls are hollowed out, toasted and filled with the customer’s choice of ice cream, fruit and candy options. Since opening in August 2017, Babble is a dream come true for Le, who made the difficult decision as his parents’ only child to branch out from his family’s restaurant business, but he didn’t go too far. Babble is located in a shopping center in the same block as his parents’ restaurant. Tuan Le owns Babble with his wife Lisa at 6909 W. Hefner Road, Suite B12. His wife Lisa — who is a graphic designer — helped design Babble’s colorful interior and devise its mascot, a night owl named August, after the month in which the cafe opened and in honor of the late nights they spent working on the concept. The owners and customers lovingly refer to the owl as Auggie. The cafe originally opened as Babble and Sip, but they received a cease and desist notice from a coffee shop and bakery in New York City named Bibble and Sip, which federally trademarked the name and operates under B&S LLC.